Edward Owusu-Ansah, flag boy at the seat of Ghana’s President has been dismissed with immediate effect–according to a report by Citi News. 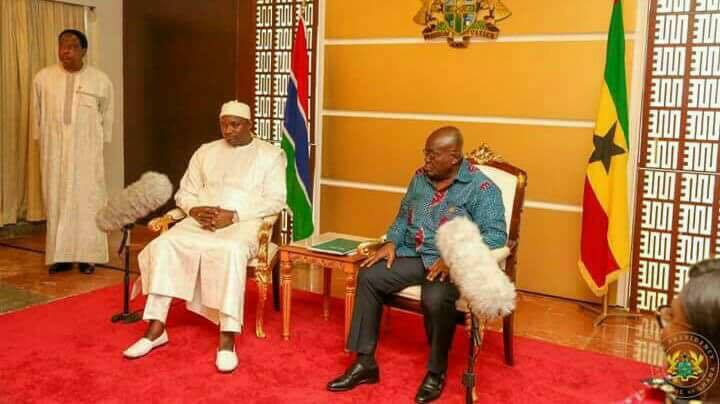 His crime is captured in the above photo; turning the flag of Ghana upside down behind President Nana Akufo Addo during an important meeting. Edward who says he will make use of his right of appeal has blamed Adonko Bitters for the confusion and mix-up.